We love to garden, especially with our kids. They love to see an actual fruit or veggie grow from seed to plant, to something they can eat! 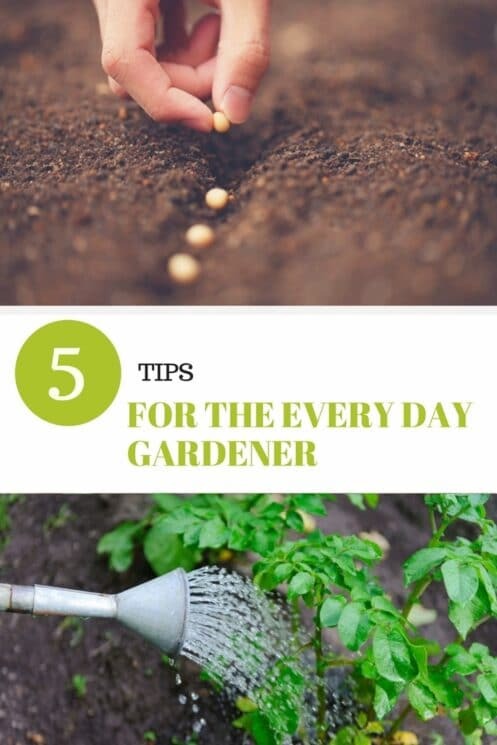 No matter how big or small your space, these 5 Tips for the Every Day Gardener can help you get started on your own vegetable garden! Feels gritty, doesn’t form clods and looks dusty when dry. It dries out really fast and has a harder time holding in nutrients. Feels smooth between the fingers and is sticky when wet. Retains more water, has slower air and water movement and holds more mineral nutrients than sandy soils. Has roughly equal proportions of sand, silt and clay. It allows roots to penetrate easily and it drains well. This is the ideal soil type. Ideal soil will have a combination of 20 essential plant nutrients. Carbon, hydrogen and oxygen are drawn from air and soil water; the other nutrients are dissolved in the soil water and absorbed by plant roots. Nitrogen, phosphorus and potassium are the elements plants need in the largest quantities. 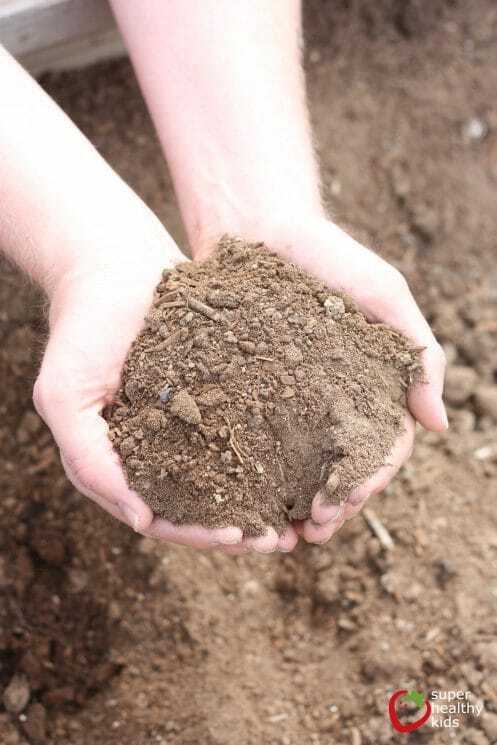 Soil pH is a measure of the soil’s acidity or alkalinity. Soil pH affects how well plants can use the minerals in the soil and also what microorganisms are able to live in the soil. The pH scale is 1-14 with 7 being neutral. Numbers below 7 are increasingly acidic as the number decreases; numbers above 7, increasingly alkaline. 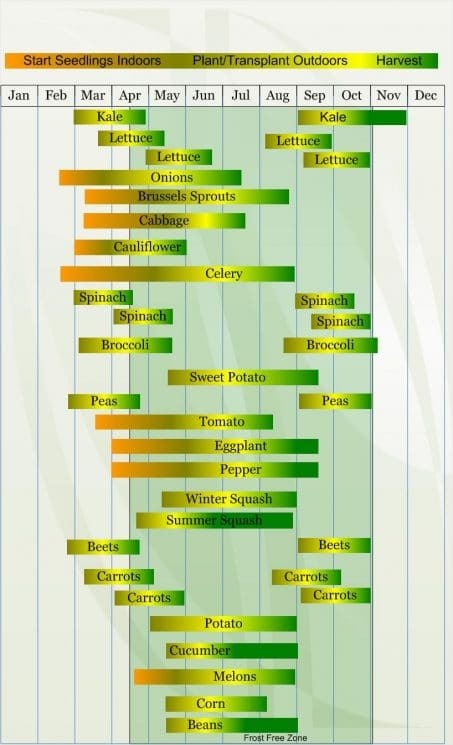 Most plants prefer a pH ranging from 5.5 to 7.5 or slightly acidic depending on the plant. The soil that I use in my garden boxes is 1/3 mushroom compost, 1/3 nutrimulch, and 1/3 screened topsoil. I purchased this from a local nursery and mixed it evenly in my boxes. My plants grow extremely well in this soil. Fancy tools aren’t necessary to grow a garden. 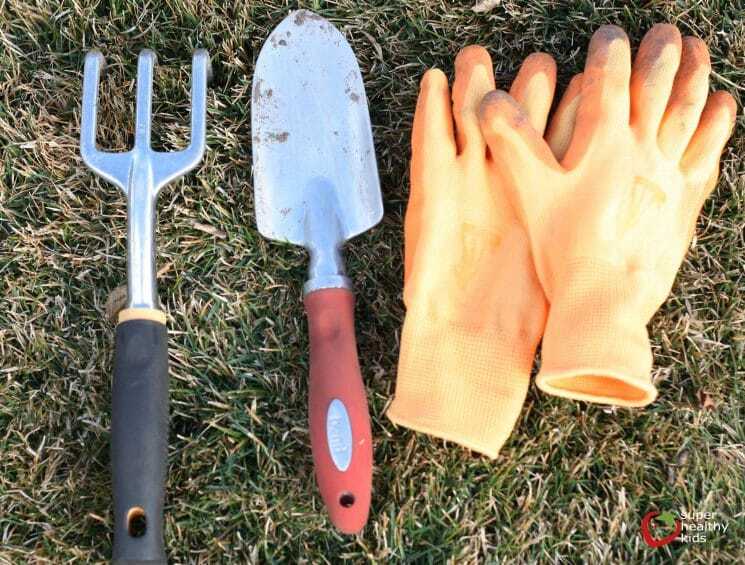 There are basically 3 tools you really will need to start out and use every day in your garden. Trowel: This is the tool I use the most in the garden. Some of the things you can do with a trowel include removing roots of weeds, splitting bulbs, digging small holes, planting bulbs and plants, prying stones out of hard soil, moving plants with the soil. Garden Gloves. These protect your hands from thorns and spiky parts of plants, help prevent blisters when carrying heavy objects, give a better grip when weeding, protect from any chemicals you may be working with. I think that the best everyday gardening gloves are Nitrile Gloves. These gloves are best when handling hard objects such as garden tools or soil with some mud. They’re coated with a material called nitrile that’s rubber-like, yet stronger. They’re also very flexible for added comfort. They are durable and do not get holes in them easily, and they dry quickly. If you are dealing with very sharp thorns, then a leather glove is probably your best option. Hand Tiller. Used to loosen packed soil, also to uproot small weeds around perennials and annuals, and it is great for smoothing soil in planters and beds. Look for one that has an ergonomic-handle design with a soft grip and a stainless steel blades. 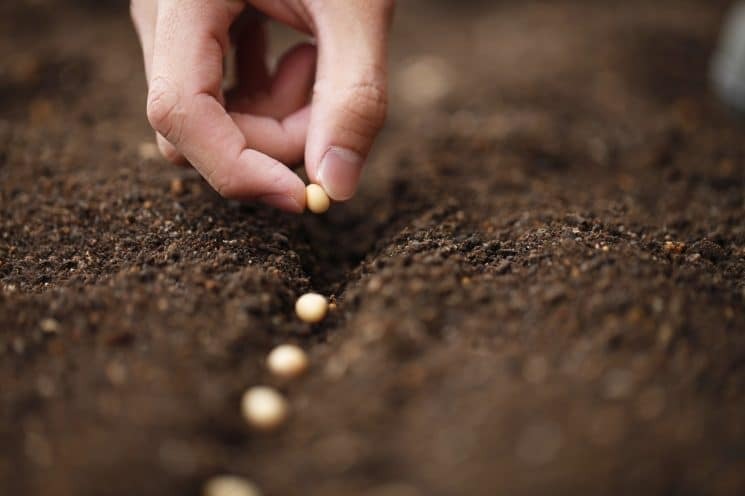 Does the type of seed or plant you buy for your garden matter? Organic, non-GMO, hybrid, heirloom? What is the difference? We have the answers for you here in our Vegetable Seed Buying Guide, and also The Best Garden Varieties to Grow. 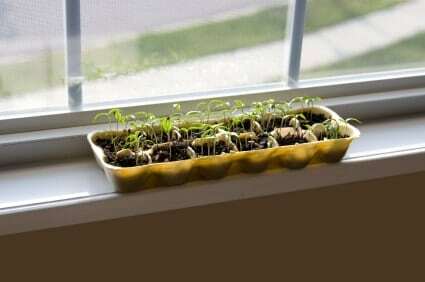 When you are trying to decide which veggies to begin as seeds indoors in small containers versus planting them directly in the garden, you have to consider each variety individually. To start indoors or buy as plants from the nursery: Plants that generally have a long maturity timeline. These include: tomatoes, peppers, eggplant, cucumbers, herbs, melons, some squash. 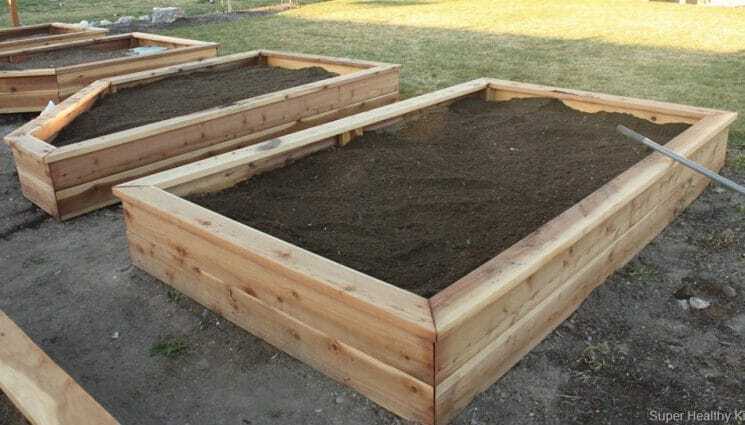 To plant directly in the ground: Plants that have a short maturity date: Peas, Carrots, Beets, Radishes, Beans, Zucchini, Lettuce, Spinach. You really can start any plant indoors to get a jump on the growing season. Water the root zone.It is the roots that need water, not the leaves. Spraying water and getting the leaves wet is a waste of water and can promote the spread of disease. Water only when needed.Automatic timers are so great because if you go out of town, your garden still gets watered regularly; just make sure to watch the weather, and reduce frequency or amount when there is a lot of rain. Too much water can be just as damaging to plants as too little. Water deeply and thoroughly.It’s always better to water infrequently and deeply than frequently and shallowly. Most plants concentrate their roots in the top 6-12” of soil. Water in the morning.If you do get moisture on the leaves, this gives them time to dry out. It’s much more difficult for plant diseases to develop when the leaves are dry. Mulch! Mulch reduces surface runoff and slows evaporation from the soil. 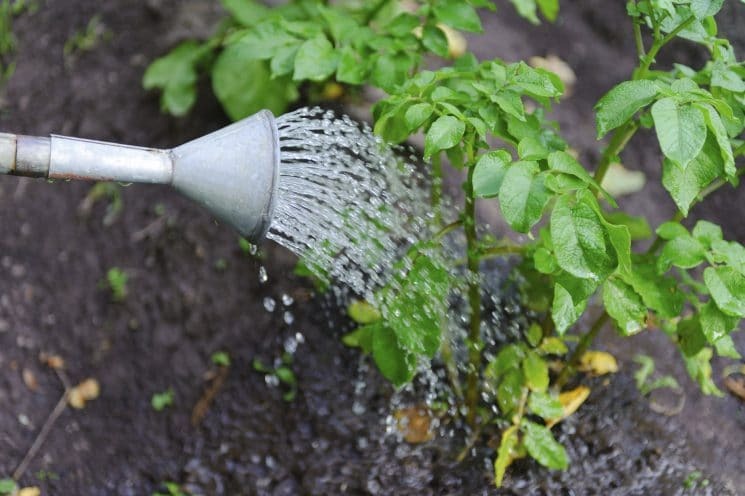 Use the right tool.For efficient watering at the root zone, use a soaker hose or a drip system instead of a sprinkler. Gardening is a great activity to do with your family and to teach them where food comes from! 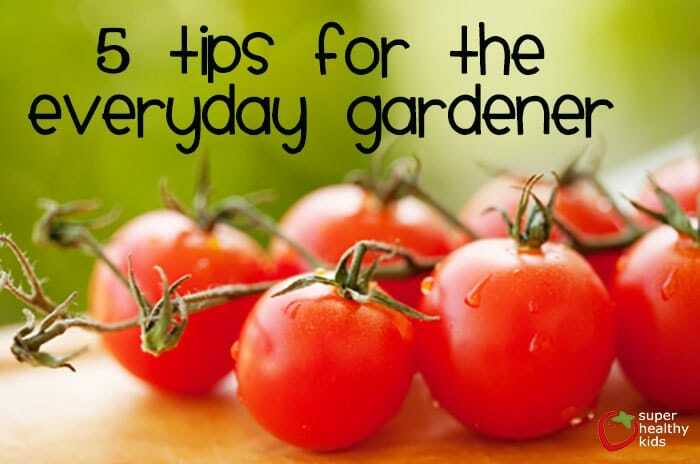 Following these basic guidelines can help you to have a successful garden!